According to WBOY, developers announced the Goff Building in downtown Clarksburg as a future multi-use facility. 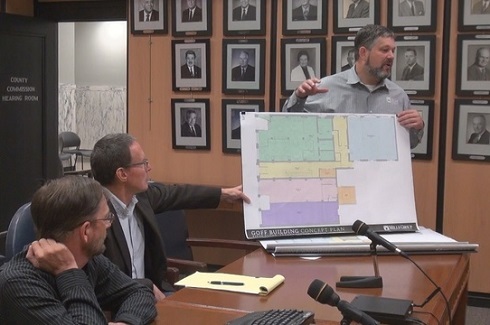 The project architect provided an update on the building's progress to the Harrison County Commission at Monday's meetting. The building was purchased at auction by a developer out of St. Louis back in early 2018. The building is expected to have a restaurant with other store fronts on the first floor, offices on the 2nd and 3rd floors, and possibly a boutique hotel on the top levels. The restaurant is expected to be the main hub of the building. Click HERE for the rest of the story and updates if, and when, they become available. Editor's Note: Photo courtesy of WBOY.